As the well-known saying goes, ‘the devil is in the detail’. The same can be said about a good interior. Its true strength is in the details that often go unnoticed such as tables, chairs and lighting. 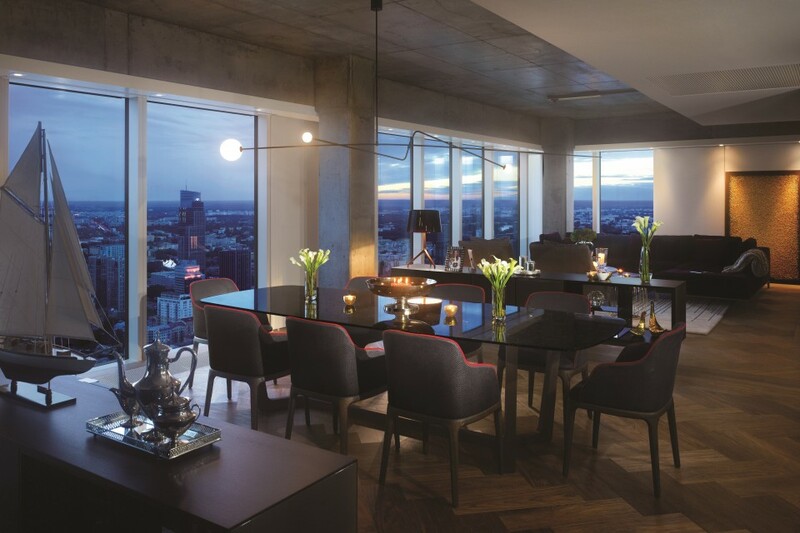 It is the last element on the list that is the specialty of Michael Anastassiades, a Cypriot designer whose lamps brighten up Złota 44 apartments. Michael primarily draws his inspiration from observation. He admits he does not like creating while sitting at a desk over a piece of paper, pencil in hand. He prefers to become lost in a daydream and create new designs in his mind. He often makes designs with his own home in mind, and tries to capture the moment when the object is ‘perfectly still’. This ideas are embodied at each step of his creative work, for example in the complex suspended structures that seem to be frozen in time. In his work he often uses shiny, reflective surfaces combined with simple geometric forms. This makes his objects blend and interact with the surrounding space. In spite of this, his designs do not lose their home-like touch and don’t come across as taken from an art gallery context. However, this has not prevented the work of Michael Anastassiades from being featured in many renowned galleries such as the MoMA in New York and the Victoria and Albert Museum in London, where they can be viewed as part of permanent collections. The designer has also collaborated with many noted design brands, including FLOS, Lobmeyr and Svensk Tenn.